On September 11, 2001 an attack occurred in this country, the magnitude of which had not occurred since attack on Pearl Harbor in 1941. Over 2900 innocent civilians were killed in New York City at the World Trade Center, Washington D.C. at the Pentagon and in the fields of Shanksville Pennsylvania. Terrorists using commercial airliners as weapons coordinated attacks in separate places, taking the lives of ordinary people. Millions of people were eyewitnesses to history as the images of the attacks were televised live around the world. Needless to say, those who were alive and old enough at the time remember the images, the collapse of the Twin Towers, the fire at the Pentagon. These are scenes of horror burned into the memories of all of those who watched television that day and on the days that followed. Anyone old enough to remember that day can tell you exactly where they were when they first heard about it and what they did during that awful morning when the entire country stopped and saw unbelievable events happening on American soil to innocent civilians. But why should the current generation concern itself with those “historic” events, rather than just sort of scanning some of the pictures and seeing the videos? How can those events matter to those who were either not born or too young to understand the events? To those who don’t remember it? The events of 9/11 changed America, changed everyone’s life in ways that will never be undone. Hearing the narrative of the events of that day from someone who was present at the site, was seriously injured as a first responder, and was a responsible official makes the events of that day more real. Who better to explain the impact of the attacks than someone who lived them? The innocence and lack of awareness of evil of people of ill will who seek death and destruction of others came to an end, and came to America in unimaginable ways. Terrorism, the slaughter of unarmed, innocent non-combatant civilians in everyday activities was always distant. It happened in the Middle East, in the Far East, in small numbers to people we didn’t relate to except in the news. Now it was here. Home. Small bands of murderers could use familiar things, airplanes to kill and destroy. Preparation to fight this evil moved the defenders to think “outside the box” and imagine the previous unimaginable. Planes killing people. Mass slaughter using explosives or ordinary vehicles to kill would come in the future. No longer would Americans take for granted safety in their home environment. The country was under attack from unidentifiable foes in non-conventional manners. You couldn’t board a plane without being screened. Barriers were placed around high-risk buildings and potential targets. Metal detectors, empty pockets and x-rays became the norm. Lines to enter public and protected spaces delay free passage that was never before restricted. 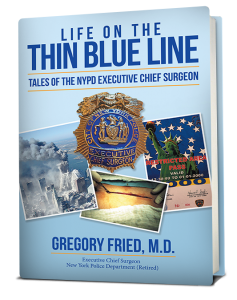 To this day, the legacy of 9/11 in New York City is cancer and other life-threatening illness in rescuers, first responders and recovery workers. Thousands have been sickened long after the fires went out and thousands more have died from toxins released when the buildings crashed down. Terrorists can appear out of nowhere, unannounced and unexpectedly killing in smaller numbers but without cause or obvious targets. Mindsets and the psychological impacts of the attacks have changed the way people look at crowds and people who come from different places and look different. We go about our daily lives, but somewhere deep down, there remains a small burning doubt about safety in ordinary places. 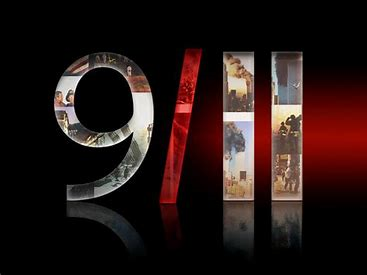 So, it’s important that we learn about 9/11 and discuss the events of the day and the follow-up and the long-range consequences in how our lives have changed since then. I will remember 9/11 seventeen years later by sharing my story with students nationally, with veteran groups, and with people in my home town. The events of 9/11 remind us of the sacrifice and heroes who were there to help after the event. Anyone interested in my opinion of heroes should certainly read my Opportunity, Circumstance, Choice blog. I do not want us to forget! Last year I shared my personal experiences with a wide audience using i2i Technologies. They will be sponsoring this event again this year. Also, if you have not read my autobiography, you can get it here.